The Toronto Animated Image Society and imagineNATIVE present the Toronto premiere of WELCOME TO KANATA, a touring package of contemporary animated films by Canadian Aboriginal filmmakers curated by award-winning filmmaker and Director of the National Indigenous Arts Coalition, Ariel Smith. The WELCOME TO KANATA Program is an initiative of the Ottawa International Animation Festival, and we are pleased to be presenting it in conjunction with National Aboriginal History Month. An omnipresent dance is created as the force of the drum appears to command radiant animated cut-outs and painterly images. Canned Meat is a story told through the eyes of a disenchanted woman who is disconnected from society and explores the aspects of mobility and immobility, physically and mentally. Using spray paint on a fence and garage where Aboriginal mother and grandmother Gloria Black Plume was brutally murdered in 1999, Cree artist Jesse Gouchey paints a large scale animation of a bluebird in flight. The beauty and freedom of the bluebird’s motion is contrasted with remembrances of Gloria’s surviving family members, which give an emotional glimpse of a woman lost to violence and the injustice of the legal system. The true story of a Cree family’s strange visit one night, and a conversation beyond words. This lyrical experimental piece incorporates Super8, 35mm and scratch animation to express the loneliness of a cold winter’s day with music by Métis musician Meash Jerre. Alethea directed Sloth, which was part of a series of seven short films by seven different Canadian filmmakers about the seven deadly sins. It is a tongue-in-cheek two minute short poking fun at the “eskimo” stereotypes that have existed over the years, including laziness. An autobiography demonstrating that where one lives is as self-defining as where one does not. Hand-drawn animation punctuates this touching personal story about the 60’s “scoop” of Aboriginal children into the Canadian child-welfare system. This is the first part of a four part experimental animated documentary Alexus Young is working on about criminalization in Canada. Many women find creative ways to survive, these stories illuminate the strength and courage these women show as well as the oppressive conditions that define them. This animated short, inspired by the Mi’kmaq legend, The Stone Canoe explores aboriginal humour. We follow Little Thunder as he reluctantly leaves his family and sets out on a cross-country canoe trip to become a man. In Amaqqut Nunaat, two brothers find themselves adrift on broken sea ice while out hunting for seal. They drift in the darkness for many days, until the ice they are on settles on the shore of a strange and distant land. From Warner Brothers’ Little Hiawatha (1937) to Disney’s Peter Pan (1953) and Pocahontas (1995); cartoon representations of Indigenous peoples have largely been based on racist notions. 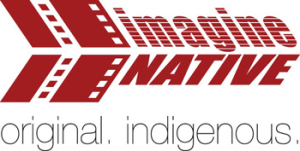 Mainstream animated films have contributed to a dehumanization of Aboriginal peoples by ingraining offensive pan-Indian stereotypes in to the minds of audiences, such as the noble savage, the Squaw and the Indian princess. Indigenous artistic expression troubles and complicates the colonial gaze and long-standing meta-narratives thus contributing to Indigenous empowerment and self-determination. Indigenous filmmakers working in animation within the nation state of Canada are challenging misrepresentations, and rejecting identities prescribed and projected on to them through mainstream cinema. They are creating works that are groundbreaking in content, form and methodology. Welcome To Kanata celebrates and showcases the talents of First Nations, Métis and Inuit artists through a selection of shorts which are distinct from each other in technique, subject, and execution. This thematic and aesthetic diversity is intentional and reflective of our diversity as Indigenous nations. It pushes back against the harmful misconception that Indigenous peoples in Canada are somehow all the same. Nothing could be further from the truth and this myth serves to discredit and undermine our rights to self determination and sovereignty. Storytelling has been an important part of life for many Indigenous nations. Our stories affirm our identities and pass on traditional knowledge and world views. Animation lends itself well to the reinterpretation of traditional cultural stories as many involve super-natural or magical elements. This is well illustrated in pieces such as Neil Christopher’s Amaqqut Nunaat (Country of Wolves) where two Inuit brothers, after becoming lost seal hunting, happen upon a strange land of shape-shifting wolf beings. Christiana Latham’s The Jingle Dress uses cutout and stop-motion techniques in a retelling of how the healing Anishinabe dress and dance originated. In Little Thunder Alan Syliboy’s vibrant paintings inspired by both petroglyphs and traditional Mi’kmaq quill weaving designs, are brought to life in a lively and humorous take on the Mi’kmaq legend of The Stone Canoe. Other works in Welcome to Kanata critique colonial violence and detail realities of contemporary Aboriginal life. Spirit of the Bluebird is a moving tribute to Gloria Black Plume, a Niitsitapi mother, grandmother and auntie who in 1999 was brutally beaten to death by two men in a Calgary, Alberta alley. At the time the film was made co-director Xtine Cook lived in a house located behind the very alley where Gloria drew her last breath. Cook sought permission from the Blackplume family to make the film and involved them thoroughly throughout the process. Heartbreak and rage is palpable and visceral in the voiceovers of Gloria’s family members, having been recorded in Cook’s garage only a few feet away from where Blackplume’s body was found. As the family recount memories we watch the graceful animation of a spray painted mural, created by co-director and graffiti artist Jesse Gouchey. The mural depicts a bluebird in flight over the prairies. The freedom and peace exuded through this imagery is a sharp contrast to the brutality and injustice that is the Canadian epidemic of Missing and Murdered Indigenous women. In Where We Were Not, Part I: Feeling Reserved Alexus’ Story, Alexis, a two spirited woman from Saskatchewan discloses her personal experience with yet another all too common phenomenon of neo-colonial violence experienced by Indigenous peoples in Canada, Starlight Tours. This practice, occurring mainly in prairie provinces, involves police arresting Native people, driving them out to a remote location, taking their shoes and coat, and leaving them to walk home in the snow. The death of Cree teenager Neil Stonechild in 1990 brought attention to a number of cases in Saskatoon, Saskatchewan sometimes referred to collectively as the Saskatoon freezing deaths. The Saskatoon Police Service was accused of taking Stonechild to the northwest section of the city and abandoning him in a field on a night where temperatures dropped to −28°C. Less overtly political works featured in Welcome To Kanata include Bear Witness’ Death by Vibration a melancholic and lyrical experimental film combining scratch animation and time lapse live action. Alethea Arnaquq-Baril’s Sloth a sardonic critique of “Inuk as Artifact” in a parody of colonial anthropological documentation of Inuit. In Nodin digital rotoscoped live action footage of Nodin Wawatie breakdancing articulates this “bboy from the bush’s” love of hip hop along with pride in his Algonquin language and traditions. The longest running piece in the programme is Canned Meat – The Whole Damn Can by Terril Calder. It is an exquisitely crafted, poetic stop motion confession of one woman’s trauma, insecurities and self loathing. Calder does not anchor the film’s narrative on a subject or expression of Native identity instead focusing on the protagonist’s internal dialogues surrounding relationships and self worth.